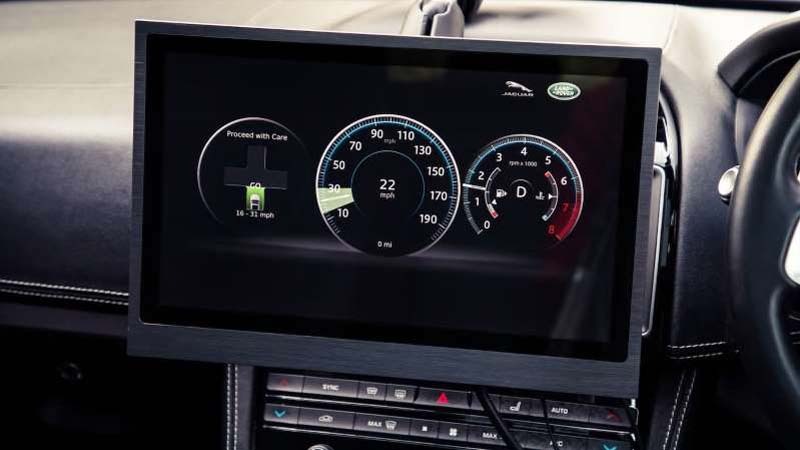 Jaguar Land Rover is one of the many automakers exploring a future that involves cars communicating with road infrastructure to minimize traffic jams and improve safety. 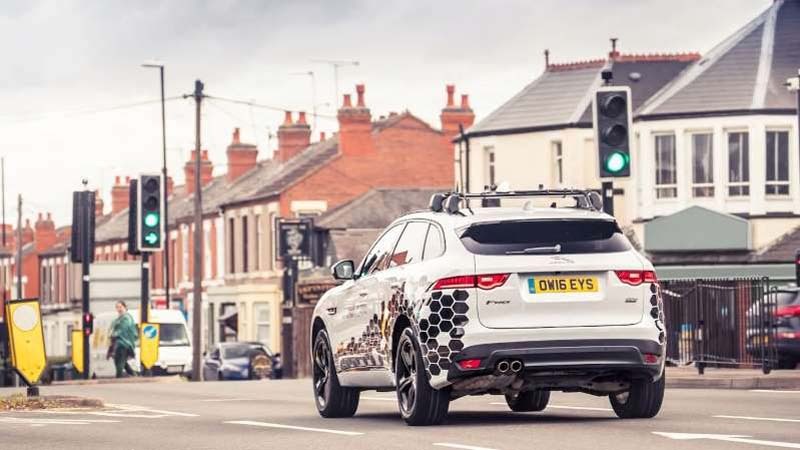 It participated in a U.K. research project testing technologies that can help drivers avoid red lights and handle intersections more effectively. When properly set up, roads can send traffic light information to a connected car. With that info, the car calculates an optimal traveling speed that will help it avoid red lights, which not only reduces traffic congestion but also curbs emissions. 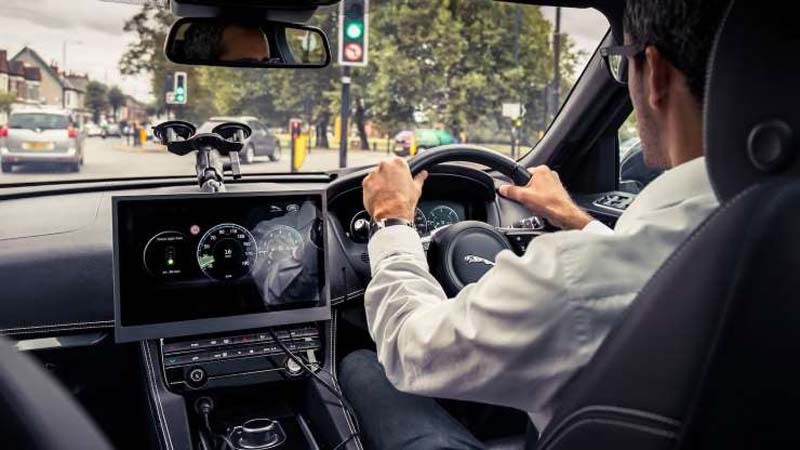 Jaguar vehicles are also testing technology that warns a driver if it's unsafe to enter an intersection, and assigns priority when multiple connected vehicles come to an intersection and there is no traffic light to dictate the vehicle that should go first. These Vehicle-to Infrastructure (V2X) technologies have been trialed on F-Pace crossovers in the U.K. It's part of a $25 million research project funded by the U.K. government and industry members to accelerate the development of self-driving cars. Ford and Tata Motors European Technical Center were also involved in the three-year project that ended in October. Other technologies that came out of the program include a feature that warns drivers when an emergency vehicle is approaching, a feature that provides real-time parking information, and an in-car display feature that alerts drivers of current road conditions. Another feature alerts a driver when a vehicle ahead brakes suddenly, even if the weather conditions are poor or there are other vehicles in between the driver and the braking vehicle. Audi has already rolled out a traffic light information system that can tell drivers how long they'll be stuck at a light. Of course, the feature only works in cities with the infrastructure to support such technology, including Las Vegas, Washington, D.C., Dallas, Denver, and a few others. Meanwhile, Cadillac plans to introduce V2X technologies on a high-volume crossover by 2023.